This content was produced by The Foundry @ Meredith Corp. Family Circle editorial staff was not involved in its creation or production. Even important purchases for kids can put your financial security at risk—here’s how to avoid going into debt. We want to give our kids everything—it's so hard to say no! But kids can be expensive, and learning to distinguish between their wants and needs can be an important way to curb overspending. Even if you don't buy extravagant toys, throw grandiose parties, or go on lavish vacations, the things you buy for your kids can lead to unwanted debt. These five tips from financial expert Erica Sandberg, author of Expecting Money: The Essential Financial Plan for New and Growing Families, can help you avoid going way over your budget. Select extracurriculars and other activities carefully. Summer camp, guitar lessons, and dance classes are positive and healthy for kids. But the costs of special equipment, uniforms, and other fees associated with each activity can really add up. If there's not enough money for camp, ballet, and playing the guitar, have a conversation with your child about which activities he or she enjoys the most and focus on one or two. Then, look for opportunities to save—such as carpooling, volunteering as a coach to get a reduced registration fee, and buying gently used gear. Set limits about new tech gear. Kids are constantly asking for the latest gaming system or smartphone—and that’s in addition to the laptops, calculators, and other gadgets they probably need for school. Buying new tech gear is an expensive habit that may lead to debt unless you set some limits and manage your child’s expectations. Take a hard look at your child's tech needs—not necessarily his or her tech wants—and don't be tempted to spend more than you should on a product simply because it's upgraded or has special features your child may never use. Another frugal tip: Opt for a capped cellphone contract with a fixed monthly charge, which prevents your child from exceeding her monthly data allowance and running up steep charges. Be thoughtful about birthday or holiday gifts. Many parents go way over budget when buying gifts for their children, spending impulsively on gifts that have an impressive "wow" factor. This year, try planning a gift list and setting a reasonable spending limit—one you can afford—ahead of time. It sounds rigid, but it will help you avoid buying a bunch of items your kids don't need. Remember: A gift doesn't have to be expensive to be meaningful, especially if you're thoughtful about what your kids really want. And there’s no reason that fancy new laptop your child needs for school (see above!) can’t count as a birthday gift. Set expectations before you shop. It happens every time you go to the drugstore or big box store: You go in for necessary items—say, a prescription or notebooks and uniforms for school—but by the time you leave, your cart is overflowing with items you didn’t intend to purchase. And, if you bring the kids, the risk of overspending is magnified. A good way to avoid this situation is by setting a goal for each shopping trip up front: “Today we’re going to buy a backpack for school, and we’re not going to buy new clothes until next week.” Then, make sure your kids—and, most important, you!—stick to it. Give your kids an allowance. 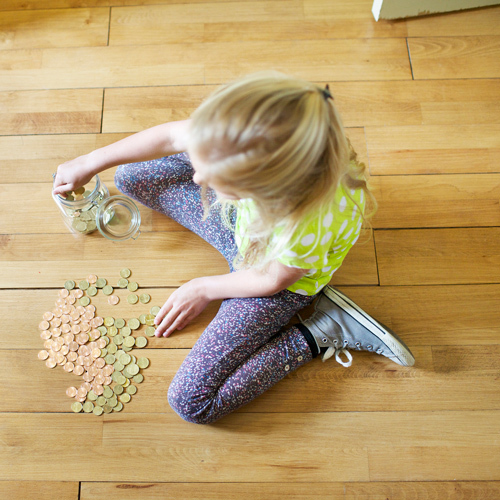 An allowance is a great way to teach kids basic lessons about responsibility and money management, particularly if they have come to expect instant gratification and frequently ask you for things. Giving kids some money of their own lets them learn about saving, spending, and sharing—important and worthy lessons. You may even curb unnecessary spending: Your kids may be less willing to spend their hard-earned money and will quickly learn to prioritize their wants. 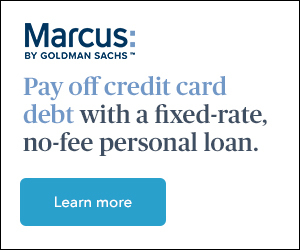 This article was produced by Family Circle and sponsored by Marcus by Goldman Sachs.